New York (August 1, 2014) - Sumthing Else Music Works, through its licensing relationship with CAPCOM, is proud to announce the digital release of Mega Man® Soundtracks Volumes 1-10, featuring the official soundtracks to the 8-bit classic series. Previously released in Japan as part of the 10-disc "Rockcan" collection, the Sumthing Else Music Works digital release of Mega Man® Soundtracks presents the collection in ten separate volumes for $9.99 each. Volumes 1-4 are available now, with two new volumes scheduled to be released every month through November, 2014. 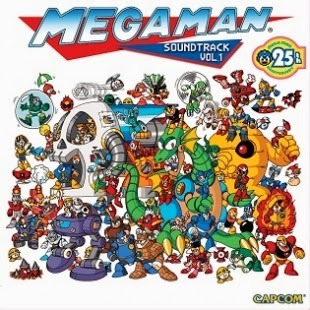 Mega Man® Soundtracks Volumes 1-4 are now available from Sumthing.com, iTunes, Amazon.com and other digital music sites. Just Announced! Yes, you read that correct... 10 volumes of Mega-Man Music! Hi Jeremy! Mega Man. I'll have to visit itunes to listen to a sample. I have no idea what this sounds like.